Equatorial Guinea is one of sub-Saharan Africa’s largest oil producers. However, with the price of crude down roughly 50% over the past year, the country is looking to diversify its economy. How we made it in Africa spoke to Gabriel Mbaga Obiang Lima – minister of mines, industry and energy – on the sidelines of the Africa Oil Week conference in Cape Town. Below are edited excerpts. 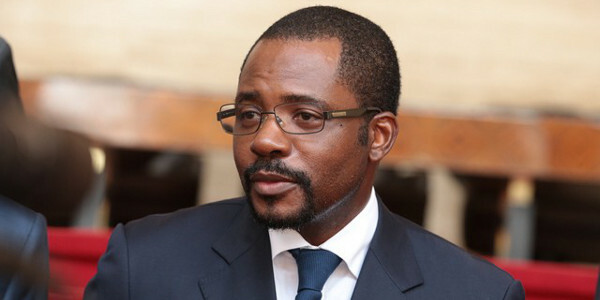 How is the government of Equatorial Guinea responding to the low oil price? We still produce the same volume of oil, but the problem is the price has gone down. We’ve had to reduce our government budget twice – we did it in January and then we have done it again in the summer – because the price of oil has kept going down. The drop in the oil price is both a good and a bad thing. It is a bad thing because it means less revenue for the country. But it is a good thing because it is a wake-up call for countries like Equatorial Guinea to understand that we need to diversify our economy. We need to think of other resources that can allow us to move forward. We have invested heavily in infrastructure such as ports, electricity, water and housing. The country needs to focus on sectors such as hospitality, agriculture, services and telecoms. We have built a new capital, it is called Djibloho, and the aim is to move both the politicians and the government there, and allow the other two main cities – Malabo and Bata – to grow as an economic hubs. 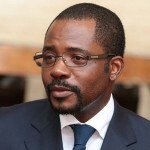 Where do you see the future of Equatorial Guinea in the energy space? The example that I use all the time, and that I will keep using, is: like Singapore. We are in the middle of a neighbourhood that has big oil-producing countries with large populations. While oil and gas production brings in a lot of revenue, the future of Equatorial Guinea lies in services. We’ve built a new port and are planning an airport hub. We are already servicing the oil industry from Luba, and are having discussions with our friends in Singapore, like Keppel Corporation, for the possibility in the future to have dry docks to repair FPSOs (floating production, storage and offloading vessels), especially because the water depth is very good. From here we can service the oil industries of Nigeria, Gabon, Angola and others. Equatorial Guinea has also introduced buses fueled by compressed natural gas (CNG). Tell us more about this initiative. By using gas one can save a lot of money, as opposed to diesel and gasoline; it is also much more environmentally friendly. We are currently doing it as a pilot project, but if the pilot project is successful we need to roll it out across Equatorial Guinea. In addition to the buses, we can also consider using this technology for taxis, very similar to what India did. Equatorial Guinea could become a major producer of CNG for transportation and play an active role in introducing the technology in other African countries. Car manufacturers such as Tata and Ford are now all looking at CNG.